This ia an ideal Land for Private Residence or Holiday Bungalow, situated at at Keerthi Sri Rajasinghe Mawatha in upper lake road -Kandy 1.5 kms away from the Kandy city in Sri lanka. Keerthi Sri Rajasinghe Mawatha, Kandy. one Million eight hundred and fifty thousand rupees per one perch. (1,850,000 Rs per perch.) Nealy Thirty five million Rs for all Land. Negotiable. This luxury hotel is situated in lake rounds in Kandy in Sri Lanka. The hotel is located in front of the Kandy Lake and the TEMPLE OF THE TOOTH RELIC. Fantastic and stanning view over looking lake and temple. 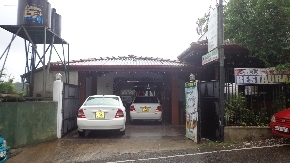 Very close proximity to the Kandy city, Railway station, Bus Stand.